* This post was sponsored by RoC® Skincare as part of an Influencer Activation for Influence Central. If you want to keep youthful looking skin, incorporate My Best Anti Aging Skin Care Tips to your daily regimen! Signs of aging skin can happen prematurely if you don’t take good care of your skin. Start young! Of course preventative care battles signs of aging so much better than starting it after the damage is done, but there are still ways you can slow down the process and have glowing skin! Did you know that your environment can factor into the condition of your skin? I read an article that predicts the most “wrinkle-prone” cities in America. The town I live in is not on the list, but I am considered to be in the Greater Los Angeles Area and that made the list. In addition, another city I lived in for 15 years made number 6 and I can tell you that I wasn’t taking as good care of my skin back then. The research revealed that the city in which you live in can impact your skin’s health in the years to come. In partnership with Sperling’s Best Places, RoC® Skincare looked at environmental, occupational and lifestyle patterns that relate to aging. The study revealed the most wrinkle-prone cities in the top metropolitan areas for the year 2040. 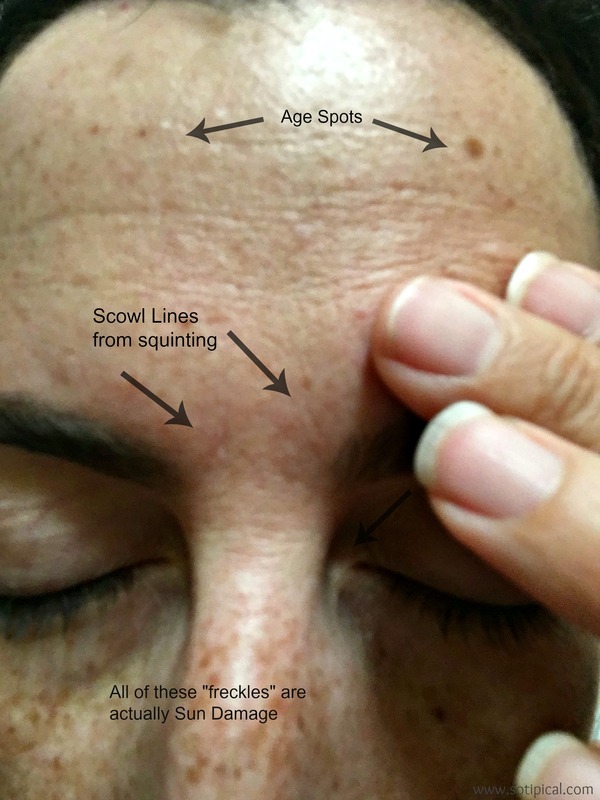 Check out their Wrinkle Ranking List and see if your city is listed! And now for the tips! The first of my best anti aging skin care tips is to keep your body hydrated and full of nutrients. You know when you haven’t been drinking enough water and you lips get all dry and cracked? Well think about your skin. Well-hydrated skin will be more smooth, plump and supple. Dehydrated skin is more likely to result in deeper wrinkles and sagging skin. Drink plenty of water, minimize sugar and processed foods to prevent breakouts and consider foods that are good for your skin, such as salmon, rich in Omega-3 fatty acids, avocado, a good source of biotin and get this – dark chocolate, which contains flavonoids (antioxidants). You can read more about that in one of my previous posts discussing healthy foods for your skin. 2. Keep Your Face Clean and Exfoliate! Removing dead skin cells and unclogging pores will not only get rid of dirt, makeup and impurities on your skin, but can increase the ability for your skin to absorb your anti-aging skin care products. This can make the products even more effective. Clean your face in the morning and be sure to remove your makeup before turning in for the night. 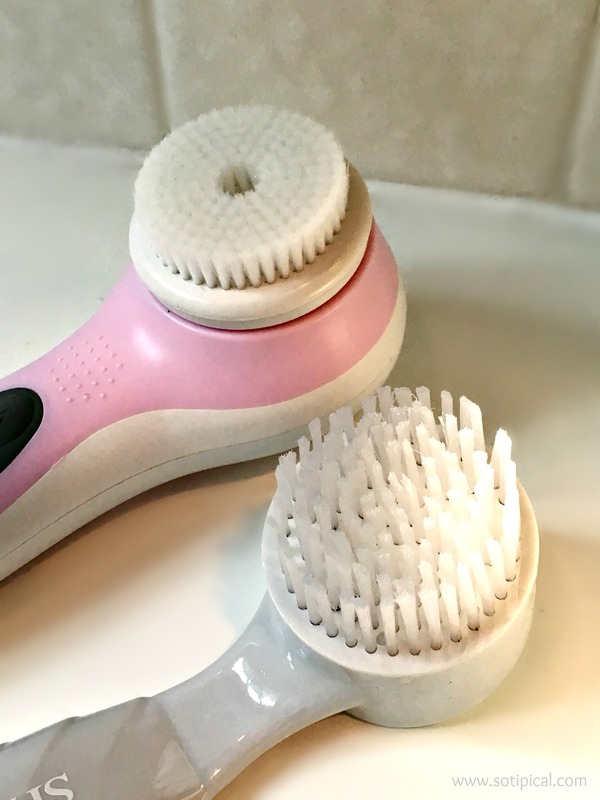 My whole family uses face brushes to keep our skin exfoliated, clean and glowing. I use an electric facial brush, but my girls use face brushes like this. We even got one for my husband! They work well too! 3. Moisturize, Day and Night! After cleansing your skin, dry and apply RETINOL CORREXION Deep Wrinkle Serum, followed by RETINOL CORREXION Deep Wrinkle Daily Moisturizer with SPF 30, The next product on my list to try is the RETINOL CORREXION Eye Cream. (Available at Target) I love the way my skin feels after applying the RETINOL CORREXION Deep Wrinkle Serum and the Deep Wrinkle Daily Moisturizer. My skin feels so soft and fabulous! I have dry skin and it did not feel dry at all after use. My family even noticed how soft my skin felt and one of my kids said my face was glowing. The long term effect of exposure to the sun’s UV rays will accelerate your skin aging making it look dry, wrinkled, loose and dull. This also can cause pigment changes, known as age spots. Always use sunscreen. Layer it. Does your foundation have SPF? 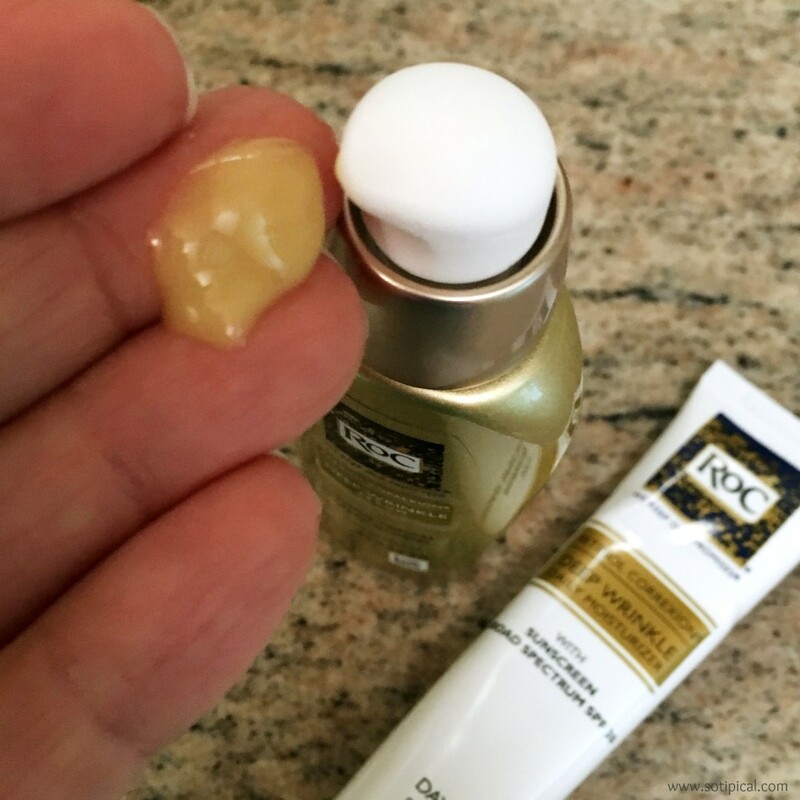 RoC®s RETINOL CORREXION Deep Wrinkle Daily Moisturizer has SPF 30. 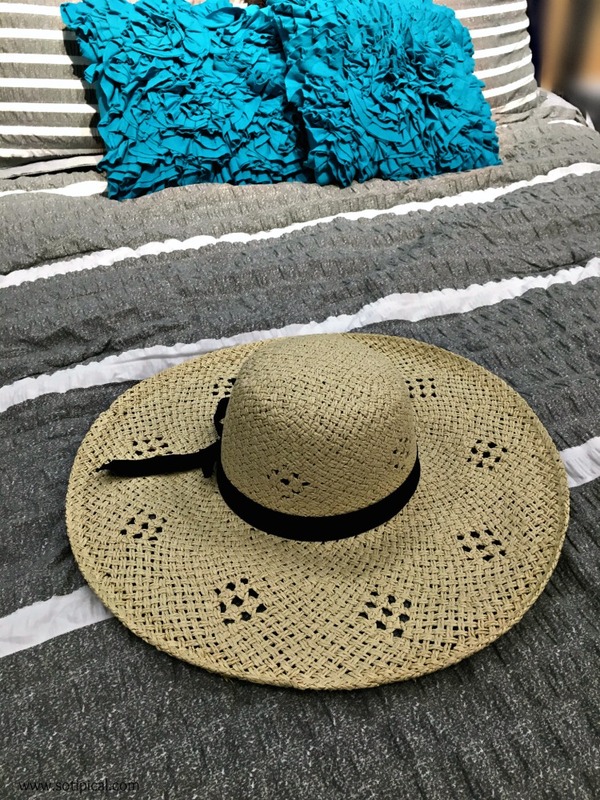 I also recommend wearing a hat or sitting in the shade when outdoors to further protect your skin from these harmful rays. Do you wake up with the lines from your pillowcase imprinted across part of your face? So much for “Beauty Sleep”! The very best way to avoid these lines is to sleep on your back. If this isn’t for you, then try a silk or satin pillow case. If preferred, substitute with a very high thread count pillow case. My guess would be upward of 600 total thread count, at least thats what I would use. Not only will you help avoid deep wrinkles from your face, but it will also help to avoid uneven sleep waves and curls in your hair too! If you need to wear glasses, especially for reading, please wear them! So I got reading glasses about 5 or so years ago. I didn’t really start needing them all the time until 2-3 years ago and I wasn’t good about wearing them. Either I didn’t carry them with me or I was too lazy to get them. Well that resulted in A LOT of squinting and guess what? Now I have scowl lines from squinting. I didn’t realize it until my husband kept asking me why I was scowling. I hadn’t been scowling, I’d been trying to read without my glasses! Don’t make that same mistake! The lines aren’t worth it! Here is what can happen to your skin after years of not taking good care of it. I miss the days where I didn’t feel like I needed to wear makeup. There you have it. 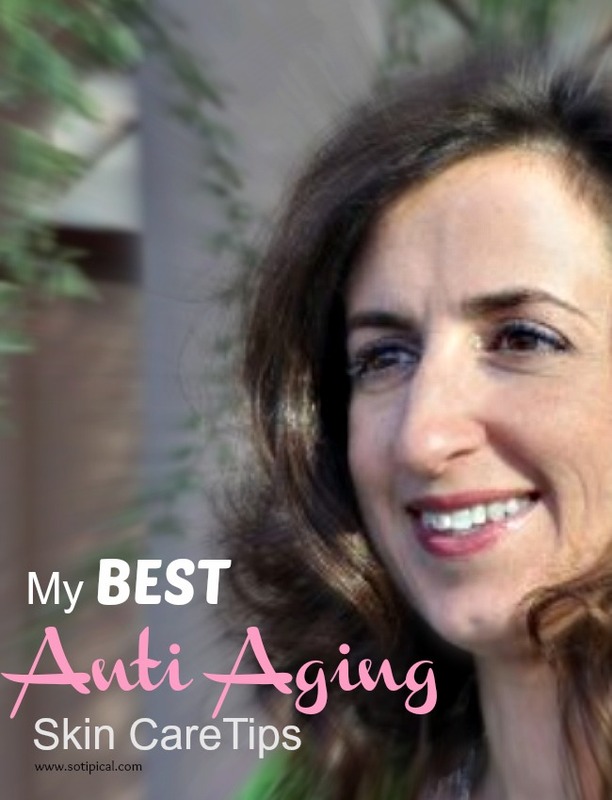 Those are 5 of My Best Anti Aging Skin Care Tips. What are your best anti aging skin care tips? 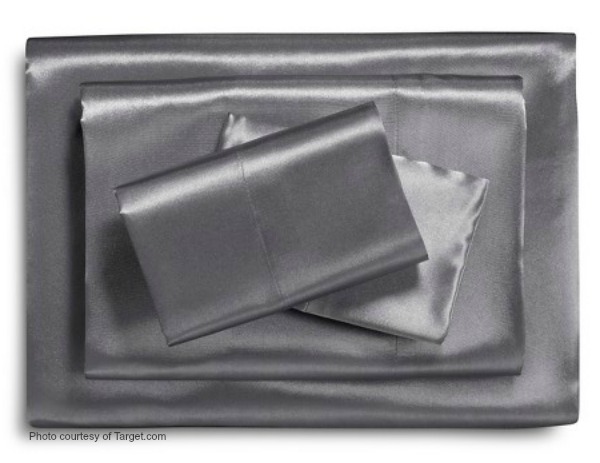 Let me know in the comments and don’t forget to check out the RoC® Retinol Deep Wrinkle line available at Target! I am obsessed with skin care products and you have given some excellent tips. I hadn’t thought of the one about wearing reading glasses. I need to be more diligent about wearing mine. I hope it’s not too late! Thank you Melanie. I still keep catching myself squinting to read and hope to break this habit. I actually got a second pair of reading glasses. One to carry in my purse so I have less excuses! Thanks Paula. My computer work has increased over the last few years, which has sped up my need for glasses. I was surprised how fast those lines appeared! I think the best thing I did for my skin was to get out of the sun 20 years back. I am lucky that I didn’t do more damage. That and drinking lots of water. I do use a moisturizer but love to try different products, so I am going to look for this line the next time I need to restock. Keeping your skin hydrated and moisturized is definitely important! I agree with the tips that you have on the list. This is the first time I’ve heard of RoC, sounds like they have awesome skin care products! Exfoliating is such an important part of any skin care routine. I’m definitely taking better care of my skin as I get older. I’ve never personally tried Roc products but in interested in their anti aging treatments. I was surprised that my current city is in the top 15 and where I grew up was in the top 30! I just grabbed my reading glasses after reading your Bonus Tip! Why do I fight it? Ha! I have such a hard time sticking to that tip! If I don’t use my glasses, I get a bit headache, then I squint more! You’d think I would be better about it! I wish I had a clarisonic. I bet it feels awesome on your skin! RoC is one of my favorite serums since it truly does work! Yes, I love the serum! I picked my electric face brush at Costco. Its a different brand and came with an additional scrubber for your feet! It costs way less! Look closer to Christmas because I’ve seen the set drop to under $60! An electric facial brush? I didn’t even know there was such a thing! Lol! I will definitely be getting myself one of those. Yes! There are several varieties out there, though the “sonic” one seems to be most popular. I picked up another brand at Costco and I love it!